Although it is only within the last half-century that the members of the aristocracy have been crossing the Atlantic - if not in search of wives, yet to fall willing victims to the remarkable charm, intelligence, and viva-city of our American cousins - the number of such marriages has already reached a high figure. True, when we consider the large number of peers who have the right to sit in the House of Lords, the percentage of these Anglo-american alliances may not appear very large. It is, however, a sign of the times that, with the greater facilities of communication between the two countries, these a r i s t o-cratic alliances also increase in number. Of all the American peeresses the first place in precedence belongs to the Duchess of Marlborough. It was in 1895 that the duke, then in his twenty-fifth year, married Miss Con-suelovandcrbilt, the daughter of Mr. W. K. Van-derbilt, of New York. The duchess, who was only seventeen at the time of her marriage, is an unusually tall woman, with a simple, unaffected manner which is recognised by all with whom she is brought in contact. She was one of the four tali duchesses who carried the canopy of Queen Alexandra at the time of her Majesty's coronation. Her Grace devotes herself, with great unselfishness, to the welfare of the poor, and often spends days at a time in the East End, while in Endsleigh Square she has a special charity of her own, devoted to the amelioration of the hardships of women and children, to which she gives her personal attention. The duchess possesses a wonderful diamond crown as well as the famous Orloff pearls, which once belonged to the Empress Catherine of Russia. She has a large fortune in her own right, and it was increased when the duke returned from South Africa, where he served in the Yeomanry Cavalry, for Mr. Vanderbilt presented his daughter with half a million sterling "as a thank-offering for the duke's return from the war." In connection with the duchess's" engagement an amusing story is told, which may or may not be true, but is quite within the bounds of possibility when her extreme youth at the time is considered. She was told that, in addition to his dukedom, her finance's titles were Baron Spencer, Earl of Sunderland, Baron Churchill, Earl of Marlborough, Marquis of Blandford, Prince of the Holy Roman Empire and Prince of Mindelheim in Suabia. " My," she exclaimed, " there would be few blank spaces on a visiting card if it held all that." Next in precedence is the Duchess of Rox-burghe, who was married to the duke in 1903. 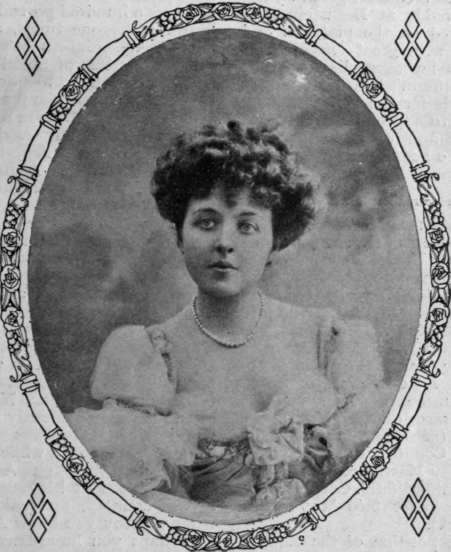 She was Miss May Ogden Goelet, and was reputed to be the richest girl in America it the time, having inherited a fortune estimated at several millions sterling from her father, who died on board his yacht while it was stationed at Cowes. The duchess, who is rather short, with a small face and dark hair, is very graceful in her bearing, and pleasing in her manner. She travelled a great deal in Europe as a girl, and thus became thoroughly cosmopolitan in her views of life. It is said that never before were such presents seen in New York, where the ceremony took place, as at her wedding. They have been valued at £300,000, while the cost of the wedding itself has been stated to be no less than £100,000, and £5,000 was mentioned as the cost of her wedding dress. Her Grace, who is the first American-scotch duchess, is much interested in philanthropic institutions for bettering the condition of poor women. She frequently hunts for bargains at sales, like other women far less endowed with this world's goods, in order that her charities may have a wider scope than if she paid a larger price at other shops for the same article. She is reputed to be a graceful dancer and an excellent skater, and, moreover, she has the characteristic British fondness for the sea. 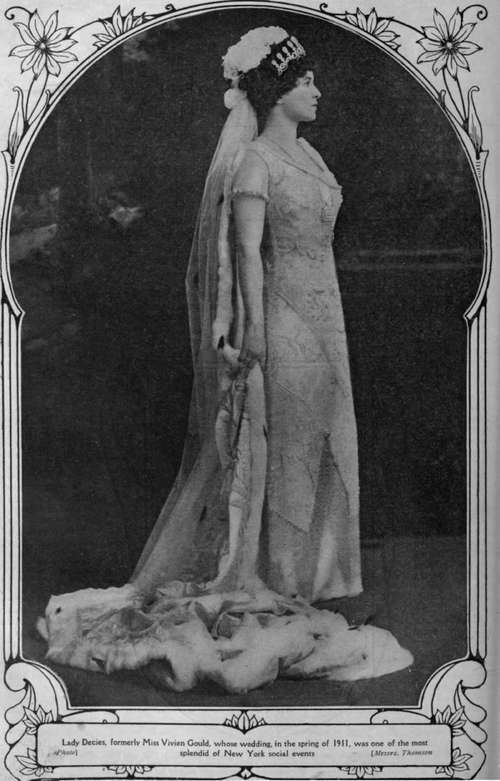 The third American duchess is her Grace of Manchester, who was Miss Helena Zimmerman, of Cincinnati. It is interesting to recall the fact that the duke himself is American on his mother's side, for his father married Miss Consuelo Yznaga de Valle, of Louisiana, so that his son, the young Viscount Mandeville, the heir to the title, has more American than English blood in his veins. The duchess lived much of her young life in Paris, and was brought up very quietly and simply. The wedding of the duke and duchess was decidedly original, and was probably unique in their rank of life. Dressed in a short-skirted frock, a blouse and a hat, the duke and Miss Zimmerman walked to Marylebone Church on the morning of November 14, 1900, and were there married very quietly. The duchess, who is very cultured, intellectual, and well-read, is reported to have literary ambitions, and, like the Duchess of Sutherland, to have already published one novel under an assumed name. 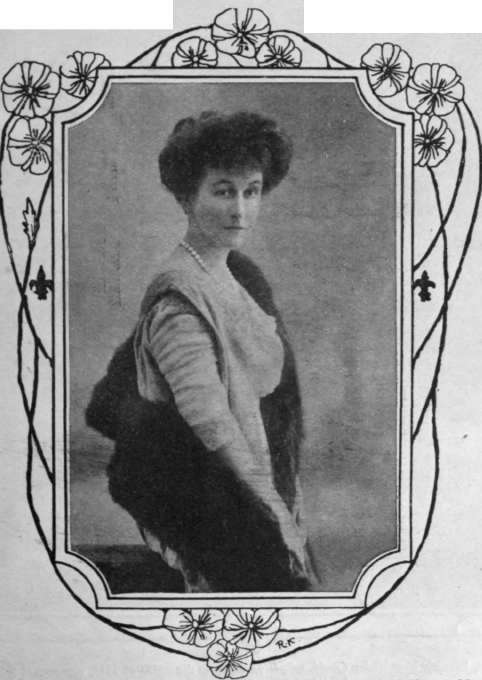 The only American marchioness is the Marchioness of Dufferin and Ava, but there is a dowager marchioness in the person of the Marchioness of Anglesey, who was Miss Minnie King, of Sandhills, Georgia. When the Civil War broke out she came to England and married the Hon. Henry Wodehouse, a younger brother of the late Lord Kimberley. He died in 1873, and in 1880 she became the third wife of the fourth Marquis of Anglesey, with whom she lived chiefly in Paris until his death in 1898. She is a woman of great taste and artistic perception, and her Paris home at Versailles was full of beautiful curios and objets d'art.